In honor of Jenya and her nut allergy…. Pare and core apples. Chop apples finely, but you want apple bits, not applesauce! If you are using matzo and not farfel, crumble the matzo into small bits but not powder. Mix together apples, matzo, cinnamon, honey and wine. This quantity serves our normal passover table of 8 to 10 people, with enough for the ritual plus some extra because it’s delicious! 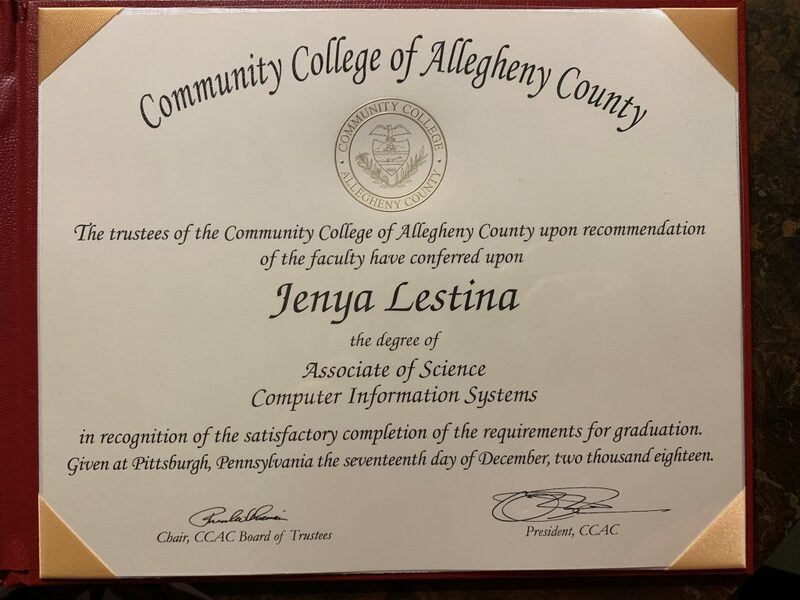 Jenya graduated from CCAC with her A.S. in Computer Information Systems back in December, and today she just picked up her Diploma – very nice! She also got another Dean’s List Certificate. 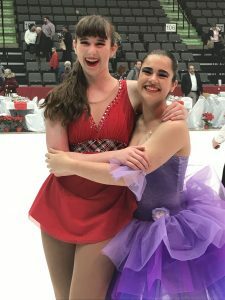 Ana and Ben skated Novice Pairs at 2019 USFS Nationals in Detroit, MI. 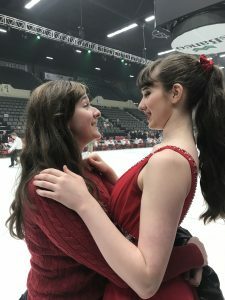 They had a great time and did an awesome job, finishing with a completely clean free skate and a personal best by more than 5 points! 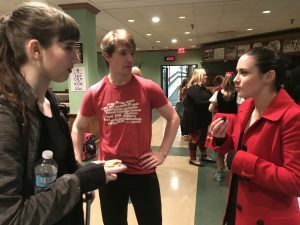 Ana and Ben were featured in an article in the Pittsburgh Post-Gazette, very cool! Awesome day at West Virigina Symphony on Ice yesterday. 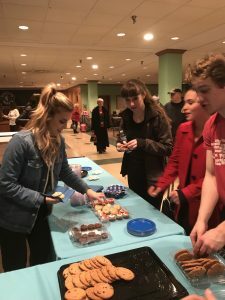 Great skating, lots of fun with friends, and cookies with Ashley Wagner! 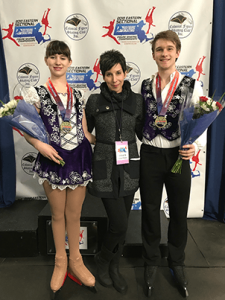 Ana and Ben were invited by USFS to compete in the Novice and Junior Challenge skate. They had a wonderful time, and placed third. 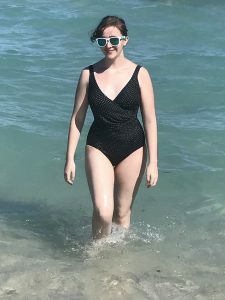 Dealia was able to come with me on a business trip to Miami. While I worked she explored the beach and the surrounding area. Nice 70 degree weather, beautiful scenery. 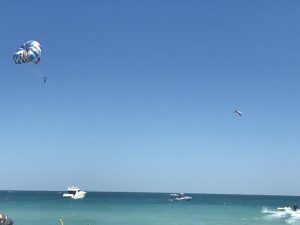 On our last day there I finished a bit early and we were able to go parasailing together, and we saw a sea turtle. Really a wonderful trip! Awesome time so far in San Jose. 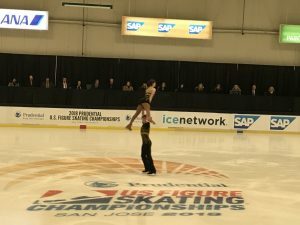 Ana and Ben skated their short program yesterday, and they looked great! The athlete gift this year was a google home mini, so Ana is eager to set it up when we get home. 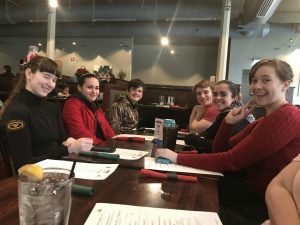 We went to Eastern Sectionals in Boston. Ana and Ben did Intermediate Pairs (and placed 3rd), and Ben also competed Intermediate Mens singles. 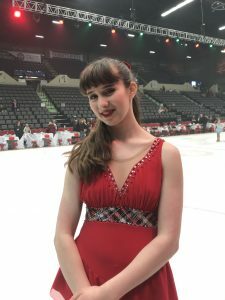 It was a tough week – Ana had gotten the flu the week prior and was still coughing and miserable during the competition. Ben did not catch it (fortunately! lots of orange juice!) but he was a bit tired from skating both programs, since USFS scheduled Intermediate Mens and Intermediate Pairs the same day. They pushed through and got it done, tho, and were very happy with their skates all things considered. Plus, my dad came up from New York to see them, which was very nice. Ana and Ben competed in South Atlantic Regionals in Philly. Ben qualified for Sectionals in Singles!! They both had very good skates. Awesome competition.